I am known amongst my friends as a food-innovator. Last weekend, I made them Mushroom and Single Malt (Whisky) Soup, and they loved it. Now you might be thinking this is an odd combination, and you are mostly right. But try it, and you will be converted. By accident – I assure you. Friends were coming over to dinner for a birthday celebration and I decided that mushroom soup was a winner. Mushrooms are in season and in abundance, so I went for it. I started out to make traditional cream-of-mushroom soup. To begin, I cleaned a mixture of wild mushrooms and chestnut mushrooms – about 500g. Into a pan of boiling water, I simmered them for a good half-hour on a low heat, and then blitzed them up with a hand blender. Nothing added so far. But none of these seemed right. I have a reputation to maintain, after all. It was then that I spied my treasured bottle of Laphroaig single-malt whisky, and took action. Taking a small ladle-full of the soup into a bowl, I delicately (with my thumb over the bottle opening) dropped in a little of the precious golden liquid. 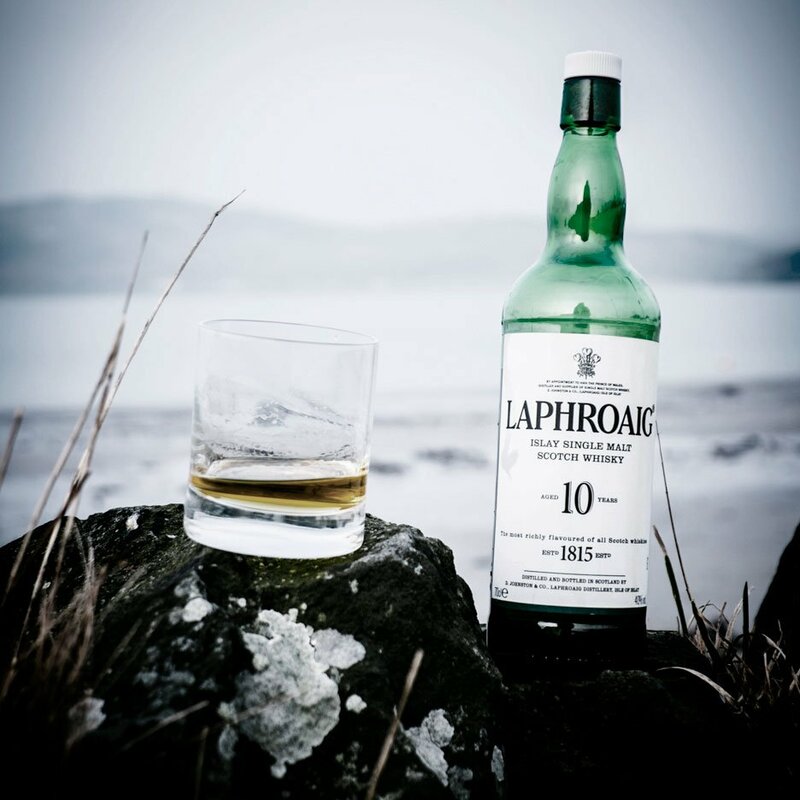 Now if you know your whiskies, you will know that Laphroaig is one of the peaty ones. It has a strong, smokey flavor that resides on your palate for quite some time. To be treated with loving care. So is it crazy to add it to soup? Not on your nelly – it was absolutely wonderful. A dash of it was just enough to bring out the flavor of the mushrooms and add a delicious, aroma-fuelled taste sensation. Such a small amount gave it a delicate hint of the whisky flavor. Any more would have been pushing it. When serving at dinner, I poured a generous helping of the soup into each bowl, added a dash of the whisky and a sprig of watercress. … is the amazing variety. Scotch; Irish; American; Japanese… there are so many to choose from. This means that there is a massive potential for mushroom and whisky soup in future dinner parties. I dare you to try it. When experimenting, I will always test it first. Some whiskies just might not work (I am yet to try bourbon). But the fun is in the experimentation!